A24’s arthouse dominance continues apace. Hereditary, an American horror film toplined by Toni Collette, is the latest jewel in the crown of the independent film distribution company, whose swift rise in Hollywood has all but revived the mid-budget movie in an era dominated by Marvel, remakes, and hare-brained sequel-itis. Two parts psychological family drama and one part demoniacal scare fest, Hereditary is a stylish masterpiece of contemporary horror, and an unnerving funhouse mirror that covertly refracts our cruel present with a seductive confidence. Fittingly, the movie begins with an obituary: Ellen Taper Leigh, a grandmother, has recently died, leaving behind her daughter, Annie Graham (Collette) and her family; husband Steve (Gabriel Byrne) and two teenagers Peter (Alex Wolff) and Charlie (Milly Shapiro). Charlie is the younger, and was, as Annie points out, her grandmother’s favourite. Grappling with an unnamed social disorder and, classically, some kind of supernatural gift, Charlie begins to attract strange forces. When a pigeon kamikazes Charlie’s classroom window, she chops its head off with a pair of paper scissors and brings it into a field. Annie, coming to terms with her own grief despite having a contentious relationship with her mother, knows that something isn’t right. When she meets a helpful commiserator, in the form of Ann Dowd, she begins to toy with séances as a way to find answers. Naturally, mania ensues. If it all sounds a little cliché, I’m doing an immense disservice to the film’s first-string storytelling, which uncoils like a loaded spring, from which so many ghoulish jack-in-the-boxes spring forth. For two thirds of the film, we witness the Graham family’s cursed dynamic – another ungodly horror befalls them which is not worth spoiling – and subsume into a sense of fearsome dread, cultivated by the unwavering and stunningly composed cinematography and blue chip performances from a top notch cast. Alex Wolff is utterly magnetic as Peter, his every facial expression conveying true disgust and disbelief at what’s happening around him. Toni Colette is expectedly flawless, vacillating with pitch perfect timing between sarcasm, desperation, devastation, and a dose of old-fashioned possession. It’s a wildly gymnastic performance in dire need of awards, should the universe right itself before next winter. 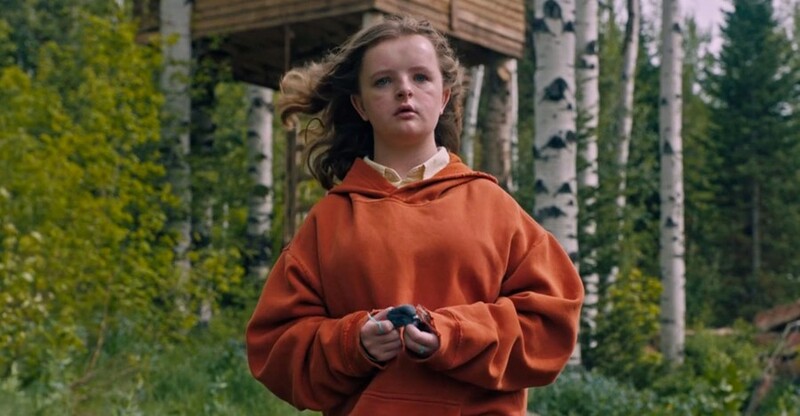 That said, the most deafening quality of Hereditary is that it heralds the arrival of a new cinematic force in the form of writer/director Ari Aster, this his marvellous and deeply satisfying feature film debut. His unwavering composition, meticulously constructed sets, and poetic editing call to mind, however deliberately, Stanley Kubrick at the peak of his spine-tingling powers. By the time the slow gears of the story crank into place, it sets off a frenzied and spellbinding third act that manages to make hair stand on end. While the journalists sitting on either side of me covered their faces as the frights hit their summit, I found myself with chills – not the kind that are caused by fear, but by romance. I found myself grinning uncontrollably in the dark. If anything hinders the popularity of this movie, it might be that there is no redeeming social message to glean, no cultural gimmick, no icepick to the zeitgeist that has benefitted other micro-budget films like last year’s Get Out. Since viewing it, I’ve pondered if the classic malevolence of Hereditary is, itself, instructive. Produced in 2017, amid #MeToo, Brexit, nuclear threats, and an epidemic of American violence, Hereditary might be the first true horror masterpiece of the Trump era. If Get Out was a reaction to the end of the Obama supremacy, perhaps Hereditary is here to rebuke the very notion of ancestry, of the history that has cursed us to this unimaginable reality. The straightforward nature of its staging as a highbrow genre film puts it on par with films like The Exorcist, The Shining, and Psycho. When it hits theatres this summer, I would like to have faith that the culture agrees.